International surveys have found that 12.4 percent of couples who are trying to have a baby will have trouble conceiving (1). Could iodine deficiency could be one of the factors causing their infertility? Iodine is a mineral that forms part of the thyroid hormones, thyroxine, and tri-iodothyronine. The purpose of these hormones is to regulate our metabolism and maintaining healthy connective tissues. For most people, the low thyroid hormone level (hypothyroidism) caused by iodine deficiency can cause high cholesterol, low energy levels, tiredness, and feeling depressed(5, 6). Iodine deficiency in women can cause irregular periods and suppression ovulation (7), hence its impact on fertility. In 2017 a survey was undertaken by the Family Nutrition Coach company (FNC) found that most nutritionists and dietitians who took part were unsure of the benefits of iodine for women who are planning to conceive or struggling with infertility. This is in-line with an earlier USA study of obstetricians and midwives (8). The UK Government recommend 140 µg of iodine a day for all adults to prevent iodine deficiency (9); WHO/UNICEF recommend 150 µg a day (10). 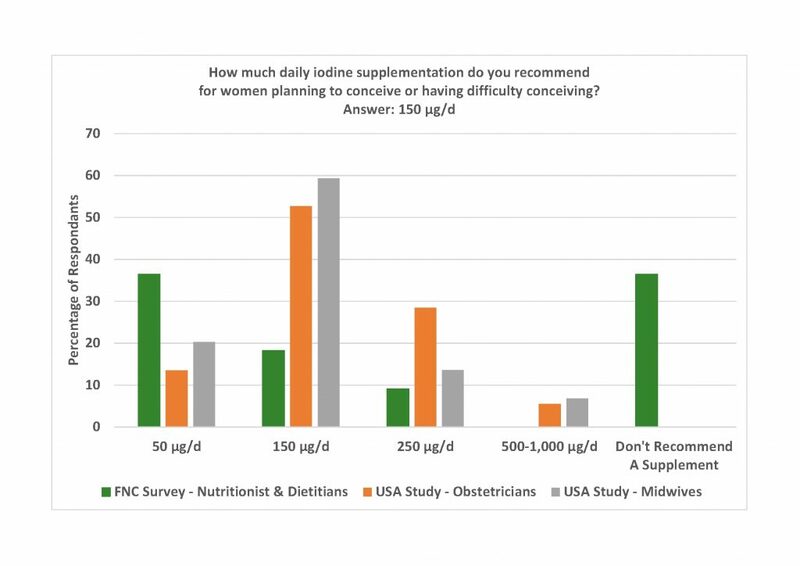 Our survey found that 18% of nutritionist and dietitians would recommend an iodine supplement that was insufficient to prevent deficiency. The Human Reproductive study highlights the importance of iodine for the prevention of infertility in women. 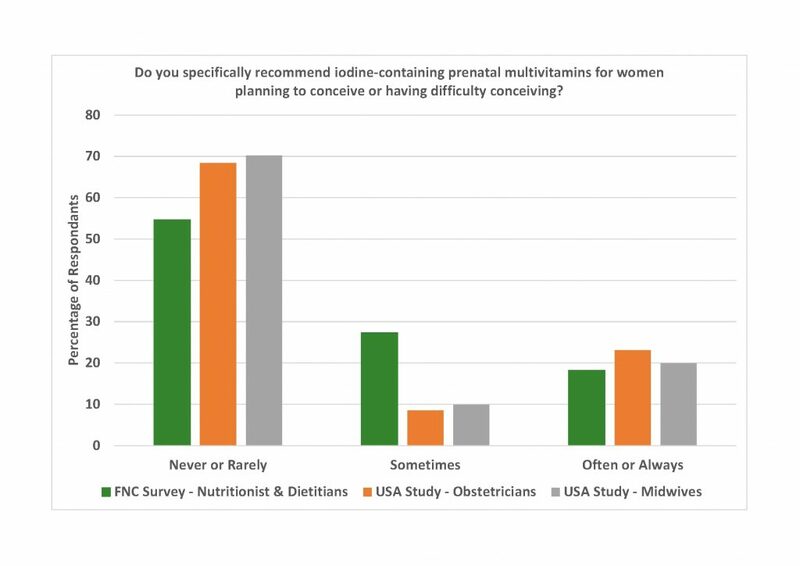 The FNC survey and USA study show that we need greater awareness about right iodine intake for these women.